Farm-to-table is the hottest catchphrase in the restaurant world these days. Luke’s Lobster is the happy result of this trend. 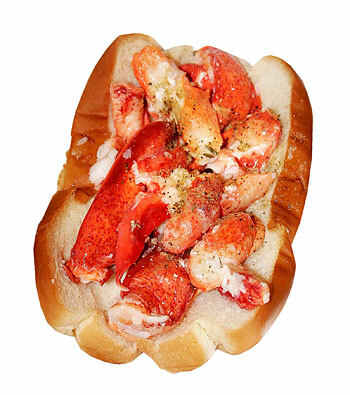 Luke’s dad, a real Maine lobsterman drives down fresh lobster daily to this tiny East Village storefront where Luke and his staff serve up my favorite lobster rolls- mayo optional, a touch of celery salt, a buttery bun and GOBS of fresh lobster claw meat. And at $14, the sandwich is a bargain compared to most New York City lobster roll purveyors. I've been frequenting the 7th Street location since it opened in 2009 and now, according to New York Magazine, Luke recently opened a second outpost on the Upper East Side. checkin' it out this w/e. thanks for the rev.